Nifty and Bank Nifty futures on the hourly charts turned to positional sell mode on the last half of the Friday session and currently with resistance coming around 6352 and 111583 respectively. Reverse your position to positional buy mode if the resistance breaks on the hourly charts. 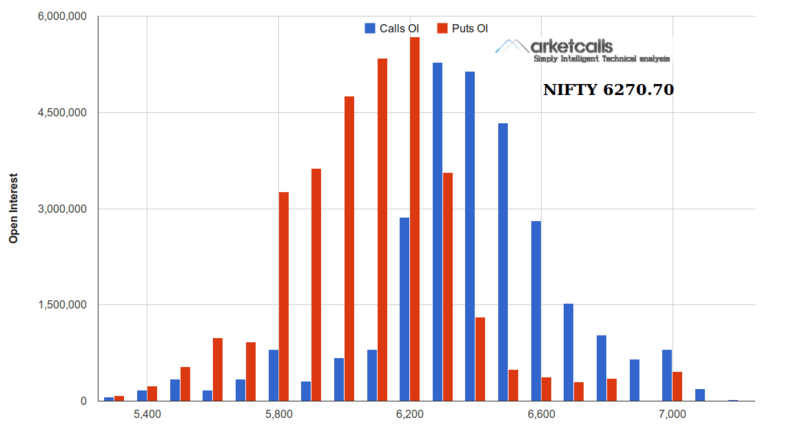 6200PE writers are unwinding their Open Interest however still the strong OI build up among strike prices. One should track the open interest in 6200PE to the close as put writers last hope for 6200 as support zone for this series.